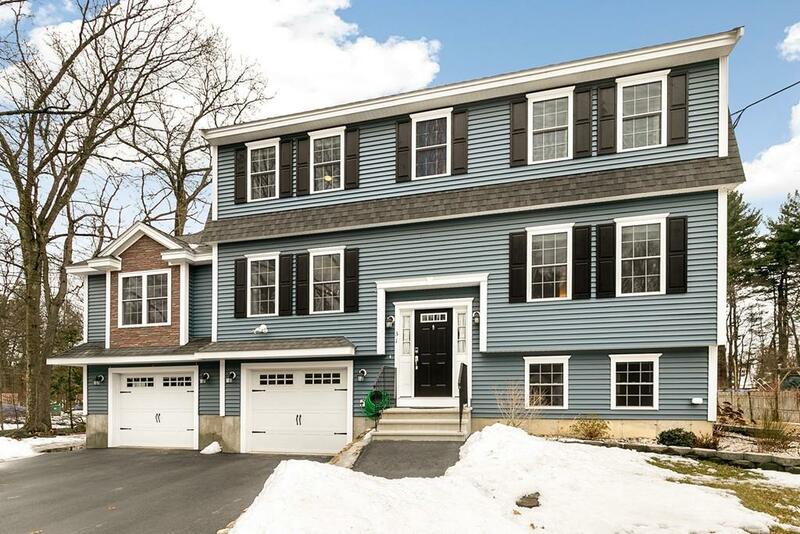 Gorgeous newly built colonial on a manageable & manicured lot near commuter rail, Rt 3 and 495! The main floor has gleaming hardwood floors leading into the spacious, open kitchen w island, SS appliances, abundant cabinet space and Granite countertops. Kitchen is open to an informal dining area, Dining Room with wainscoting, and the over-sized Family Room boasting a vaulted ceiling, a gas fireplace, built-ins and window seat w storage below. Off the kitchen is a 12x12 deck overlooking the private backyard. Completing the first floor are a fourth bedroom/office, a half bath w enclosed laundry-w gas and electric hookups and two pantries. Upstairs is the master suite w walk-in closet, full ensuite, two more bedrooms, and an adjacent full bath w linen closet. The finished Lower Level has 5 in-wall/ceiling surround sound speakers, a cinema wall complete with a projector, mudroom and large utility closet for storage.